Child support, also known as child maintenance, is the sum that the noncustodial parent must pay to the custodial parent. This sum, or amount of money, serves as a contribution for the child’s basic living expenses including food, clothes, shelter, healthcare, and education. 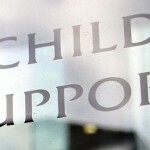 Child support is ordered by the court and states generally don’t impose child support once the child is 18 years old. Hire a child support lawyer to avoid any sort of dispute while dealing with the non-custodial parent for the child support sum. What Determines the Amount of Child Support that is Due? Child support is calculated according to the formula written into your state’s law. This formula includes certain allowable deductions and combines the father’s and mother’s gross income. Child support payments are required to be an amount that is reasonable and necessary to support the child and can be a percentage of the parent’s annual salary. A court can order additional payments to be made by the noncustodial parent for future medical, vacation (camp), or education costs. Legally, an individual is only responsible to support their biological children financially. Therefore, courts cannot order individuals to pay child support for a stepchild or stepchildren, unless the individual has legally adopted the stepchild or stepchildren. If you don’t pay your child support payment on time, some states can withhold a percentage of your wages and you can also be subject to penalty charges. If you don’t pay your child support on time and the court finds that you (the noncustodial parent) are able to pay child support, they can hold you in contempt of court, resulting in fines and possible jail time. If you are owed child support and it has not been paid to you on time, you can contact your local child support agency (by county) and ask them to get involved. The fees are usually fairly low for them to collect the payments for you. In order to get help from your LCSA you will need to fill out court forms and serve the papers to the delinquent parent. The LCSA can also track down noncustodial parents that have disappeared, using the federal parent locator service. The bottom line is that the laws surrounding the enforcement of child support laws can be quite complicated, and the facts of each case are unique. It is best to contact an experienced attorney for guidance on how to best proceed with your case. Contact us today to start getting legal assistance with your child support issue!